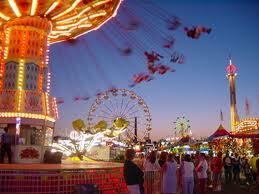 The Colorado State Fair festival is an event held annually in Pueblo, Colorado. 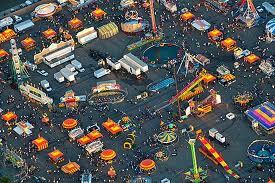 The state fair has been a tradition since October 9, 1872. Colorado became a state in 1876 and before the Colorado flag flew high, the Colorado State Fair was already earning its place in history. In 1869, approximately 2,000 people converged on what is now Pueblo for a horse exhibition; and from that meager beginning was born the Colorado State Fair. 4 Responses to "Colorado State Fair"